I seem to be on a panna cotta kick lately. I’ve noticed that chocolate desserts on restaurant menus have been taking second place over their milky counterparts. I suspect it was a taste of my parents’ maja blanca recently that awakened my desire for some subtle, silky, milky flavor. Maja blanca, a traditional filipino dessert, is made with coconut milk, corn and topped with latik (la-tik), fried coconut milk curd. When it sets, the maja blanca has a texture very similar to panna cotta and has a subtleness in flavor that I enjoy a lot. In fact, maja blanca is one of the few filipino desserts that I actually like since it is not overly sweet. And since I have yet to tackle this old favorite, I opted to make panna cotta instead. Nearly a quart of leftover buttermilk encouraged me to try a lighter panna cotta this time around. A quick Google search yielded several recipes that promised a refreshing treat so I was sold. Panna cotta is appealing as is but if used as a blank canvas, it is perfectly adaptable to different flavors. The original recipe suggested adding a bit of Anisette or Pernod for a more sophisticated touch (and of course, some anise flavor) but I chose to concentrate on citrus flavors to highlight the tanginess of the buttermilk. Adding some sweetness, the blueberry sauce seemed just the perfect accompaniment. Please note that if you are more accustomed to the mellow flavor of a traditional panna cotta, you will be surprised by the bright tang that hits your taste buds. Initially, all I detected was the buttermilk but a few more bites revealed the citrus freshness of the meyer lemon zest (You can see the yellow flecks in the second photo). The verdict? This is a nice variation on the traditional panna cotta. Craving satisfied. Stir gelatin into milk. Let sit for at least five minutes before using. Heat the cream, sugar, salt and lemon zest/orange juice concentrate in a small saucepan over low heat; stir until the sugar dissolves. Add the gelatin-milk mixture and continue to heat. Stir the mixture constantly and don’t let it come up to a simmer. Take the pan off the heat and pour into a large bowl. Let the cream cool for a few minutes. Add the buttermilk and vanilla extract. Pour the mixture into six glasses or 3/4 cup ramekins (My ramekins were a bit larger so I had 5 servings). Wrap tightly in plastic wrap and refrigerate for a few hours or until set. See the link above for much more detailed instructions. For the sauce, bring the juice, sugar and lemon juice to a boil in a small saucepan over medium-high heat. Stir until the sugar dissolves then lower heat slightly. Add the blueberries and cook for about 8 minutes or until the berries begin to pop. Cool to room temperature and serve with the chilled panna cotta. WOW!!! Congrats on your 100th post! Amazing, isn’t it? How time flies? And congrats on a goodlooking panna cotta. The blueberry sauce is gorgeous, too! Jean – Congrats on the 100th post!!! Glad to call you my friend and watch you through this blogging journey. 🙂 I too adore panna cotta – have not ever made it , yet. It is on the list. Recently had a delicious one at Palio de Asti in San Francisco and a really tasty one at Bottega in Yountville. You have inspired me to make one soon!! This panna cotta looks absolutely delicious! Those pictures are amazing! I’m stuck in front of the screen. i want a bite. Congratulations on your 100th post. It’s been wonderful meeting you and reading you all this time. May this blog go on for other 1000000000 posts! Thank you! I sure hope to be around for at least another 100! Thanks!!! Wow, congratulations on your 100th post. Your panna cotta looks stunning and the photo is so enticing. As I have gotten older I have found that I have really moved away from chocolate desserts and something like this is much closer to what I would want to make myself, or order in restaurant. 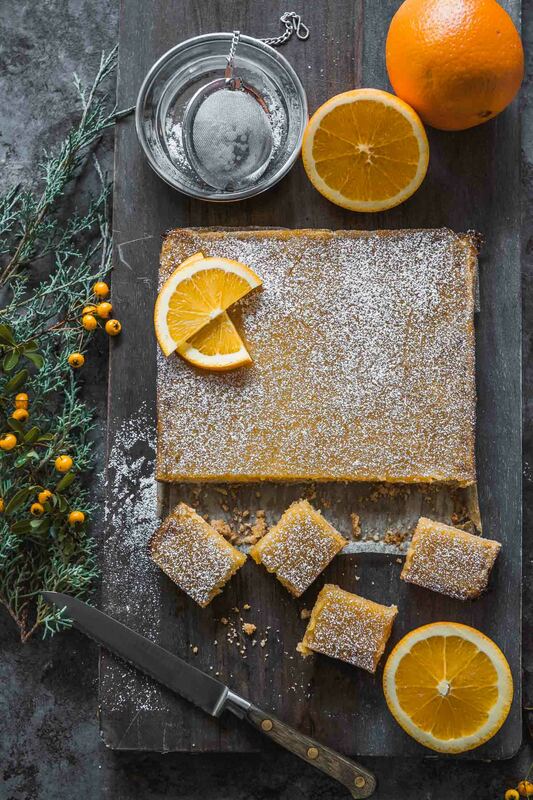 Gosh…that not only looks gorgeous but must taste amazing too. Love the combination. Congrats on your 100th post, that’s quite a milestone! Here’s to the next 100! Wonderful flavor combination on the panna cotta, meyer lemons and blueberries sounds like it would be great together. Maybe one of your next 100 posts will be about maja blanca, you’ve peaked my curiosity about it! congratulations on your 100th post! I know how important that is to reach that milestone! 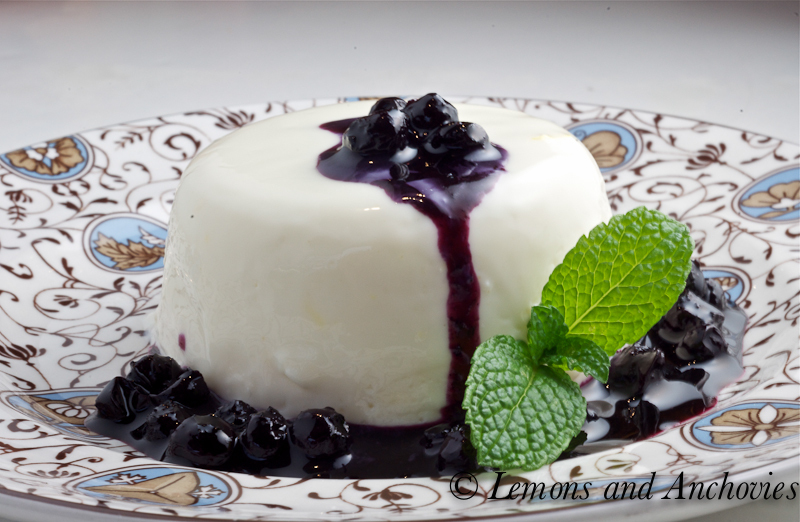 I have never made panna cotta before, I don’t know why I love it….yours does look delicious especially with that blueberry sauce! It sounds like the perfect dessert! 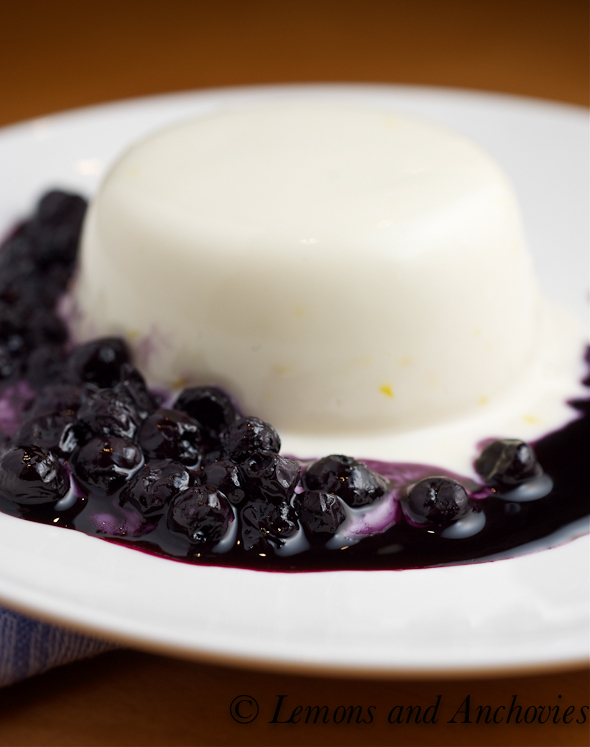 I seriously dig panna cotta, and that blueberry sauce looks amazing! Great job, and congrats on 100 posts! Gorgeous dessert! Congrats on your 100th post!!! Congrats on the 100th and what a way to celebrate!! Beautiful panna cotta. This is lovely. Something i would definitely choose over a chocolate dessert. As comforting as maja blanca but with the zing of blueberries ( which I utterly love). Congratulations on your 100th post and more power! Blueberries are one of my faves, too, and the sauce went really well with the panna cotta. Thanks so much, Adora! I’ve never had panna cotta. Is the texture like a custard? It looks creamy and luscious and I’m sure I’d like it. The Maja blanca you mentioned sounds fantastic too – I’m going to ask my Mom if she’s familiar with it (or if my grandparents made it). Yes, the texture is like a custard/pudding. You can make the panna cotta as soft or as firm as you would like, actually. In this case, I used a little more gelatin to make it a bit firmer but I like them all. Love this Jean! And Happy 100th post! Great looking panna cotta for your 100th post! I’ll have to remember this recipe when I have excess buttermilk on hand! congrats on your 100th post! that is just amazing:) this recipe sounds so yummy and it looks really stunning. WOW! Congrats on your 100th post – what an achievement!! Beautiful pictures as well 🙂 best wishes on your next 100! Congratulations on the 100th post!! Your blog is one of the first that I started following when I started blogging and I have truly enjoyed your posts. Looking forward to the next 100+! I haven’t been a big panna cotta fan, but recently have had a few that I have truly enjoyed. I’m even more intrigued with the buttermilk here, one of my favorite ingredients. I think I’m actually inspired to try! Congrats on your 100th post! I love your choice of recipe for such a milestone post… I’m a sucker for milky, custardy sorts of desserts like panna cotta. I bet the buttermilk gives this one a nice tangy flavour, too! I have never made a panna cotta, but I have made a Bavarian. They seem pretty similar. Especially in deliciousness! Congratulations on your 100th. What a wonderful celebratory dessert to make. Can’t wait to read the next 100. I’ve never had that sauce on a panna cotta; I will have to try it. Thanks! I bet panna cotta and blueberries go so well together. I’ve never made a panna cotta before. Maybe it’s time. Your looks amazing. Happy 100th post Jean!!! A wonderful way to mark it. Congrats on your 100th post! Your panna cotta looks so good that I want to make it soon. Better yet, I want to eat some right now. Good job! One hundred posts…warmest congratulations! 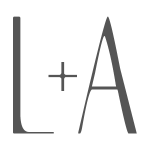 Your blog is such a beautiful place, and I love visiting it again and again. 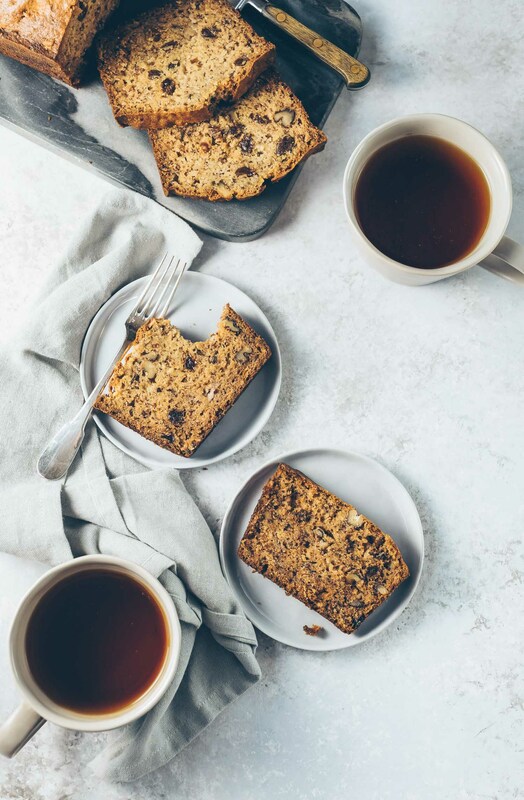 This recipe is one of the many reasons I think you are so successful: your writing is eloquent, your recipes are unique and your photographs are beautiful. Thank you for sharing this tangy panna cotta with me. Stay warm and safe during the rest of the week! Congratulations on your 100th post, Jean. What a milestone! I’ve never made panna cotta, but I adore its luscious creaminess and yours is so gorgeous with the blueberries. Congratulations on your 100th post. It’s been wonderful meeting you and reading you all this time. The panna cotta looks and sounds delicious. Love the addition on the blueberry sauce and I’m so intrigued by the use of buttermilk. I see the little flecks of lemon zest. This does sound delicious with the blueberries and so pretty! Congratulations on 100 posts! This was a great way to celebrate! It looks fabulous! congrats on 100th! but who would judge poorly on using guava concentrate…this looks great! 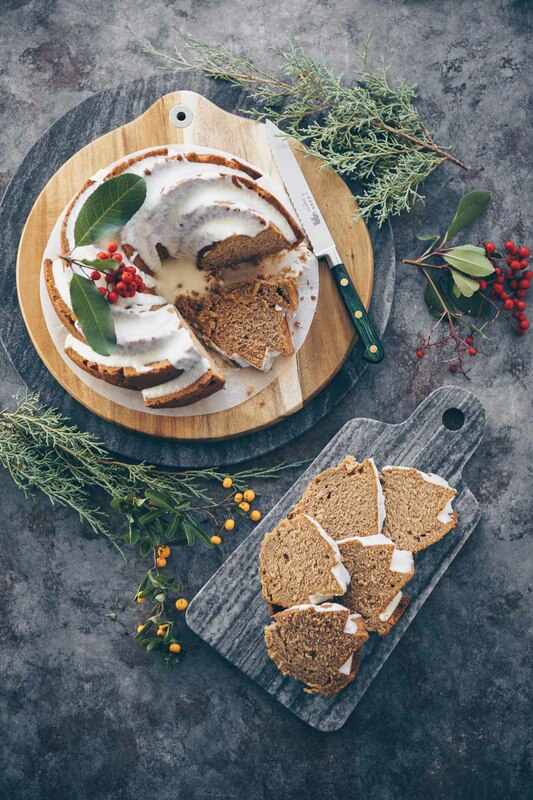 This is a delicious recipe, with beautiful pictures! Hi Jean! Congrats on your 1ooth! It goes by fast, doesn’t it?!? I too am coming up on my 1 year anniversary. I think we both started our blogs sometime in Spring. I often see panna cotta on the dessert menu of Japanese cafes but I never think to order it. In fact, it’s been years since I’ve eaten it but next time I’m out, I’ll have to try it, although I doubt I will be offered a beautiful blueberry puree as a topping! This looks fabulous. 🙂 Have a great weekend! Congratulations on your 100th post…wow 🙂 And wow again on this panna cotta dessert, just gorgeous. I don’t believe I have ever has a version like this and I love it! What a beautiful dessert! And congrats on your upcoming blogaversary!